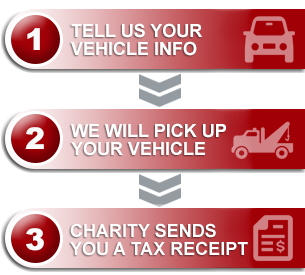 The company was very helpful through out the process of donating my car. in my opinion this is a very easy way to make a generous charitable donation without having it hit you the way it might were you to take an equivalent sum of money out of your checking account. the process over the phone took about 1/2 an hour and they were very helpful in locating a charity I specified that was not on the list. car was picked up within a couple days which was handy given that insurance had been transferred over to the new car, and sold at auction within a week or two. We will definitely be using this service again when it is time for the wife to get a new car.